Many are the industrial processes where voltage stability is essential: from a wide range of applications where the numerical control processors and automatons are entrusted with guaranteeing the final result, up to all kinds of calculation centres, computer peripherals, transmission and communications equipment, laboratory equipment, etc. So, in today’s electronic environment, saturated and highly unstable, where fluctuations in the power supply voltage are more than frequent, voltage stabilisers – power conditioners play a very important role in guaranteeing stable voltage to loads more sensitive to such variations. EMI3: Servomotor voltage stabiliser 5 kVA – 330 kVA (industrial applications). Constant stabilisation and savings in overvoltages. 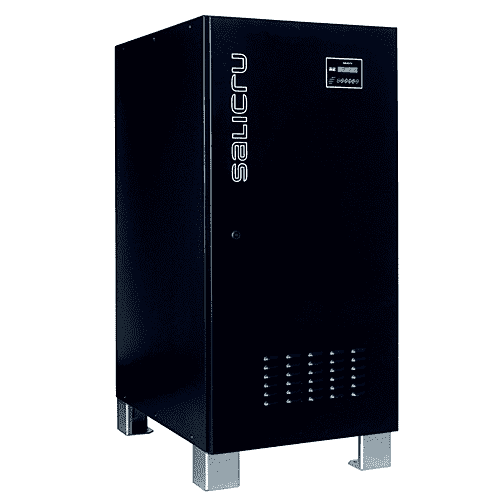 RE3: Electronic voltage stabilisers from 300 VA to 250 kVA (commercial applications). Power Conditioners -Voltage Stabilisers Many are the industrial processes where voltage stability is essential: from a wide range of applications where the numerical control processors and automatons are entrusted with guaranteeing the final result, up to all kinds of calculation centres, computer peripherals, transmission and communications equipment, laboratory equipment, etc. 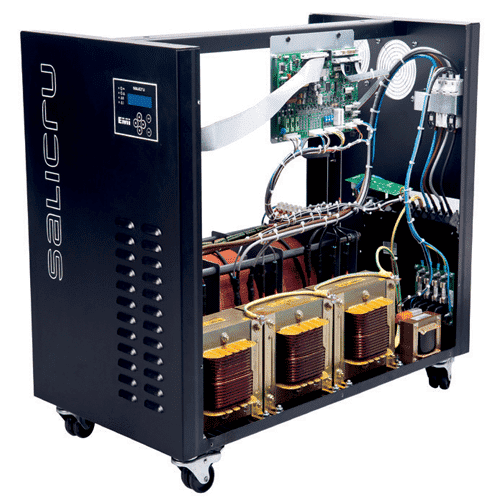 So, in today’s electronic environment, saturated and highly unstable, where fluctuations in the power supply voltage are more than frequent, voltage stabilisers - power conditioners play a very important role in guaranteeing stable voltage to loads more sensitive to such variations. Below you can see two different series of power conditioners: 1. EMI3: Servomotor voltage stabiliser 5 kVA - 330 kVA (industrial applications). Constant stabilisation and savings in overvoltages. 2. RE3: Electronic voltage stabilisers from 300 VA to 250 kVA (commercial applications).